Now … if that ain’t the truth, I don’t know what is!! What?!! (She said incredulously and with disbelief in her voice!) You don’t agree?!! You don’t think that it’s the most wonderful time of the year?!! If you find yourself raging in religious disagreement with my heartfelt love of and for all things Christmas, then this blog is for you today. I want to help you with your aversion to mistletoe, holiday cheer and with the decking of the holiday halls before you deck somebody! It’s true … I am a Christmas-aholic. The resounding reason that I love Christmas so utterly and completely has nothing to do with overfed octogenarians in red suits trimmed with white fur, snowmen that dance at street corners or cups of holiday cheer. 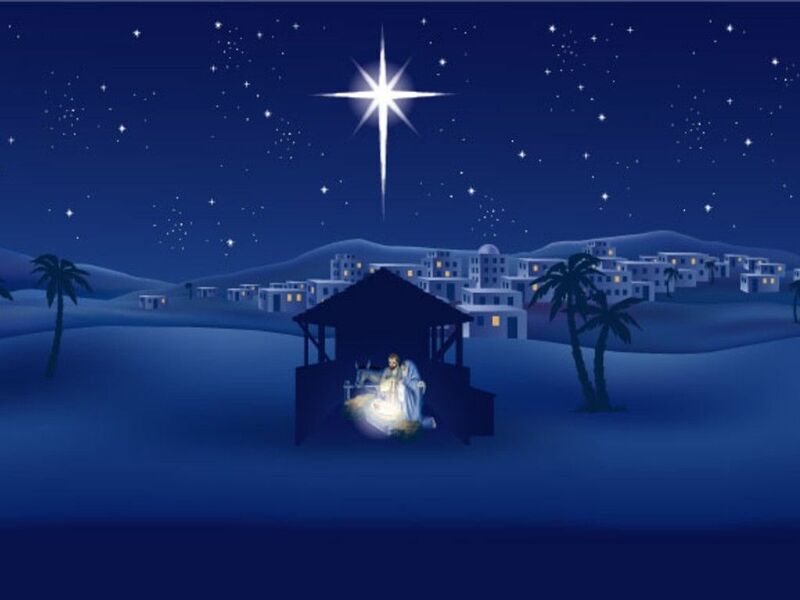 The reason that my heart stops at the thought of Christmas is because I am in love with the Savior of the world. The reason that my eyes fill with tears every year the day after Thanksgiving is because I love babies. Especially a certain baby Boy born in a manger. The reason that my heart sings with heaven and nature is because my world was dark and hopeless and it has now been filled to overflowing with the Light of the world and the God of all hope. The reason that I believe this season to be so earth-stoppingly spectacular is because I really do hear the song of the angels in my Christmas-infested heart. “But the angel said to them, ‘Do not be afraid, for behold, I bring you good news of great joy which shall be for all the people; for today in the city of David there has been born for you a Savior, Who is Christ the Lord.” – Luke 2:10 & 11. The mistake that many Christian Scrooges make is that they confuse the magic of the season with the miracle of the season. The magic of Christmas holds no eternal beauty or significance for me, either. It is the miracle of the season that causes my flesh to stand in amazement at the Gift that I have been given. The magic of the season centers upon toy-making elves, flying reindeer with red noses and presents wrapped in silver and gold. This is what I believe … either the manger should be placed in the same category as elves, jolly old Saint Nicholas and flying reindeer … or it is absolute, divine and eternal Truth. Christmas is not about the holiday spirit that rushes toward us the day after Thanksgiving and compels us to shop, spend, and eat. Christmas is about the Holy Spirit bringing peace and joy through a Baby Boy to the mess that we have made of planet earth. It is about the power of heaven’s reality invading one life. It never ceases to amaze me that most of humanity pauses to celebrate the month of December. That’s nothing short of miraculous! School children have concerts … offices close their doors … neighbors decorate with lights … high school friends put long newsy letters in the mail … and grocery stores offer treats offered at no other time of the year. Why? It’s because built into each one of us is the desire to celebrate! God made us to celebrate the miracle of Christmas! And, as believers, it is up to us to demonstrate to this lost, dark world exactly what they are celebrating! It is up to me and to you to reveal the joy of this season in extraordinary and miraculous ways! It is up to you and I not to BECOME Scrooge but to OVERCOME Scrooge with the peace that was announced that night that stars exploded over the shepherds and their flocks. And then … it is up to you and I to live out the truth of this divine season … He came so that my life could be wonderful. God sent His Son so that I would have something to celebrate. My entire life has been changed because of the most miraculous event in all of recorded history. God became man so that I could sing with the angels a song so victorious and hopeful that the world must listen. Well put Carol, I wish you and your family a wonderful, safe and awe inspiring holiday season. Merry Christmas!!!! !